Most professional photographers have a 24-70mm f/2.8 lens in their DSLR kit bag, but there hasn’t been an equivalent in the compact system camera sector until now. 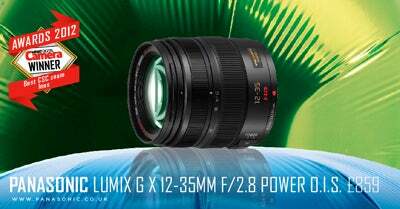 The 2x magnification factor of the Panasonic/Olympus Micro Four Thirds system makes this 12-35mm Lumix lens the precise equivalent – except that it’s just a fraction of the size and weight of DSLR versions. There’s nothing lightweight about the specifications, though: an all-metal lens barrel, weatherproof seals, internal focusing and Optical Image Stabilisation are just a handful of its merits. The image quality is outstanding too, registering an impressive 0.3 cycles per pixel in our resolution tests from wide open right down to f/16. Those looking to use Panasonic’s G-series cameras for video rather than stills recording will also welcome the inclusion of a motor designed to be discreet while recording.